I have a Mac computer with built-in Retina display and another external one (non-Retina). I want to work with my Windows virtual machine on both displays but I'm having resolution issues. 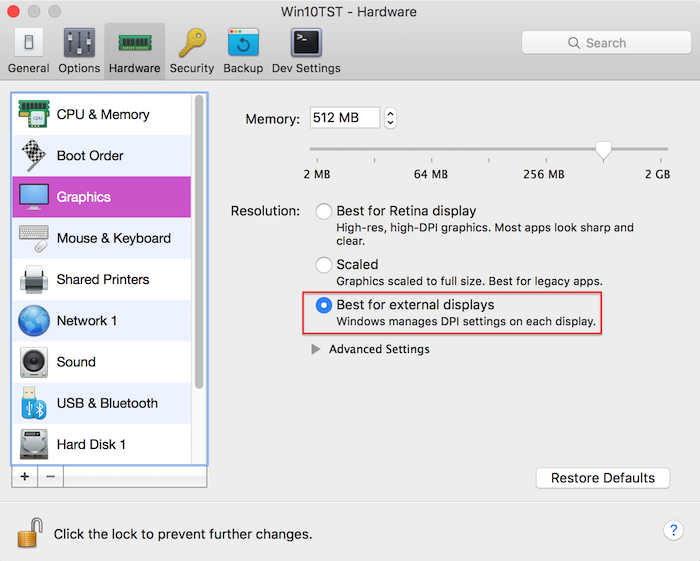 A new option was introduced in Parallels Desktop 12 for Mac to work with the virtual machine on multiple displays with Retina: Best for external displays. When this option is enabled, Windows manages resolution and DPI settings separately on every display. To enable this option"
Open virtual machine configuration window > Hardware > Graphics. 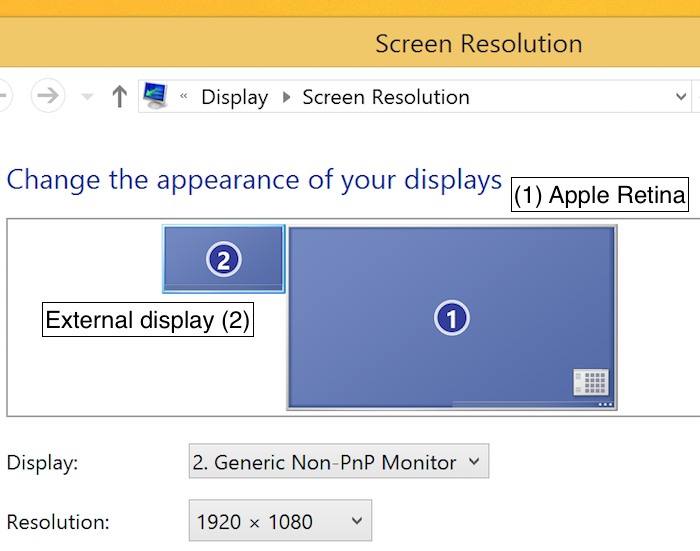 Set resolution setting to Best for external displays. NOTE: Windows will log off to apply the new settings (when running).